BW Drywall Company offers soundproof installation and drywall installation in the Orange County area. Year after year, our excellent service and workmanship has proved us to be one of the leaders in our industry. Whether the installation project is simple or complex, a quick fix or a detailed custom job, our expertise has us tackling every job with unequaled professionalism. With over a decade of superior service, our experience ensures that our customer’s come away fully satisfied. Orange County is a thriving hub of Southern Californians and their families who have a high demand for quality of life. That demand extends to the workplace and the home. To meet those high expectations, residents of Orange County have counted on BW Drywall for all their drywall installation needs. Some of our many services include acoustic ceiling removal, drywall repair and restoration, and drywall textures that include hand trowel texture, old world texture, and smooth & spray texture. Year after year, we have been the go-to for residential and commercial installations. Unwanted noise can be a peaceful homeowner’s worst nightmare. Thankfully, you can count on BW Drywall to offer noise-canceling solutions. Our service extends throughout the Orange County area. Any homeowner or business owner can take advantage of our world-class craftsmanship. On the flip side, Orange County is filled with people who enjoy life. Many of them want to jazz up the house with a home theater. BW Drywall is there to fulfill those dreams. Our drywall and soundproofing services can be paired to install a luxury theater that can only be heard by those being entertained. For any soundproof installation or drywall installation, BW Drywall is always available to provide a hassle-free quote. 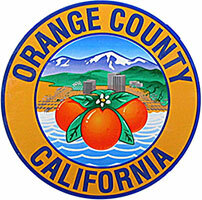 Visit http://ocgov.com/ for all the official information on Orange County.